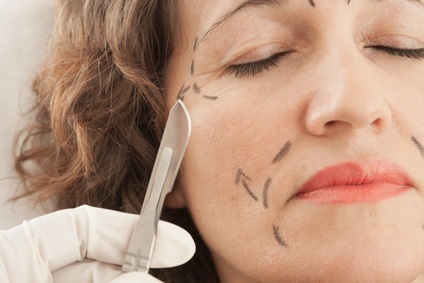 While plastic surgery fashion comes and goes, some procedures remain perennial favorites. Each year the American Society of Plastic Surgeons produces its list of the most popular procedures based on a nationwide survey of plastic surgeons. Of course, there will be some variations between some parts of the country and others, but at least this lets you know what the current trend is. Changes in our demographics have led to some of the changes as well with increasing popularity of procedures dealing either with weight gain or the converse, loss of weight. Non-surgical options such as skin peels, injectable fillers, Botox, and a variety of "non-surgical" procedures and devices (some effective and some not) continue to grow in popularity as many patients want to achieve some improvements and enhancements without the cost, risk, or downtime of surgery. Sometimes, however, surgery is the only feasible, practical option. Young women whose breasts never developed fully and who feel disproportionately small. Liposuction- A perennial favorite, liposuction remains the best way to eliminate unwanted fat localized to areas where it does not respond to diet and exercise. Although large volume liposuction is being done in some obese patients for weight control, this is major surgery and should be done in a hospital setting with close monitoring. Most plastic surgeons use a more limited liposuction to smooth out contour bulges in areas such as the abdomen, hips, thighs, buttocks, and flanks. There is now a dizzying array of options for liposuction including traditional liposuction, tumescent liposuction, ultrasound assisted, laser assisted, “aqua” liposuction, and probably a few more that I haven’t heard of. Rhinoplasty- reshaping of the nose remains popular in third place. The traditional, small, bobbed nose that looked “done” has been replaced by techniques intended to produce a refined result that will look fitting for each individual's unique appearance, ethnicity, etc. Eyelid surgery- There is a reason for the saying, "the eyes are the window to the soul." Our eyes can make us appear angry, tired, sad or youthful and energetic. Eyelid surgery is relatively simple and straightforward and produces some of the most "bang for the buck" of all facial procedures. Although most eyelid surgery is cosmetic, when it is done to remove excess upper eyelid skin that is infringing on the upper visual field, most insurance companies, including Medicare, will cover the surgery to remove this excess skin. A simple visual field test, with and without taping the excess skin out of the way, can determine if insurance coverage is possible. Tummy tuck- An abdominoplasty or tummy tuck, as it is more popularly known, is the only procedure that will remove excess skin and fat, tighten loose muscles, and eliminate stretch marks (in the skin that is removed). It can dramatically tighten and flatten a tummy that has been stretched a bit too far due to pregnancy or from weight gain followed by weight loss. Tummy tucks are a part of the currently popular ‘mommy makeover' that typically includes surgery on the breasts to lift them, restore volume, or both. No cosmetic surgery is going to be appropriate for every patient. This is why a face to face consultation is so important, and this should be with the surgeon who is going to perform the surgery. All of the above procedures have been done, and are being done by surgeons who are not plastic surgeons, some with minimal to no training in this procedures during their formal surgical training. 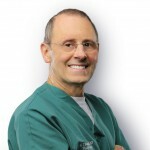 The best way to assure yourself that your surgeon is properly trained and qualified to do the surgery you are seeking is to verify that they are board certified by the American Board of Plastic Surgery, the only credentialing body recognized by the American Board of Medical Specialties to certify physicians in the specialty of plastic surgery. You can also contact the American Society of Plastic Surgeons for a list of member surgeons in your area. Only surgeons who are board certified by the American Board of Plastic Surgery can be members of the American Society of Plastic Surgeons.